The PDF is a digital document file that contains one or more pages with text and images and in some cases video and audio too. Until the widespread use of Kindle books, most authors used PDF to publish eBooks. But the biggest setback of using PDF to publish copyright content is that it can be easily stolen over the internet. Consequently the use of PDF as a prefered way to sell the soft copies of books by authors declined gradually. Nowadays they mostly use kindle store for this purpose. However to publish free manuals, free books and information brochures, PDF is still the best and most convenient way. Many WordPress users want to embed PDF content inside WordPress posts/pages. Is it possible to embed PDF in WordPress pages? Yes. It is 100% possible to publish a PDF file on your WordPress website, thanks to big and ever growing community of WordPress developers. There are many WordPress plugins that offer to embed PDF documents in WordPress for free and you need not spend money for this. 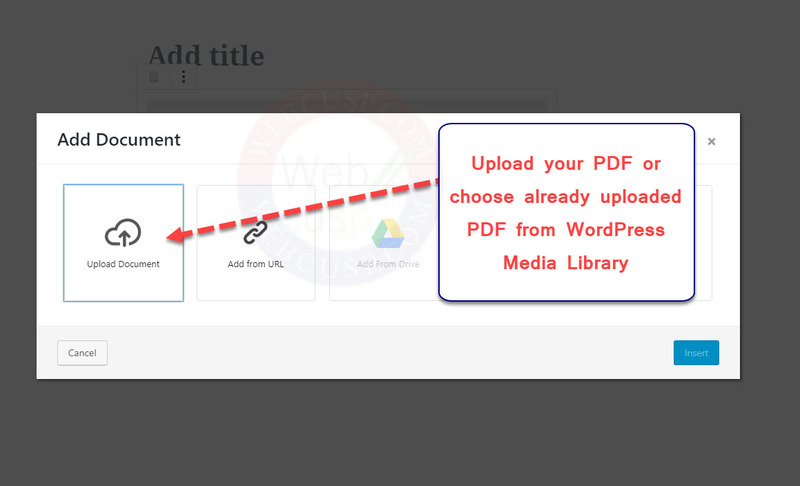 All you need to do is install a working PDF viewer plugin from WordPress plugin repository and then upload your desired PDF file to WordPress media library and finally add the shortcode to WordPress text editor. In this post we are going to know about PDF reader plugins for WordPress which are not only best but also for free absolutely. All plugins mentioned in this article have first been tested by us. Embed Any Document is a simple and free plugin that lets you embed any PDF with only a few clicks. This plugin is compatible with Classic and Block Editor as well. So we can say it is the easiest way to embed PDF in WordPress for free. If you use old Classic editor, you can use “add document” button to upload and embed PDF file in a page. 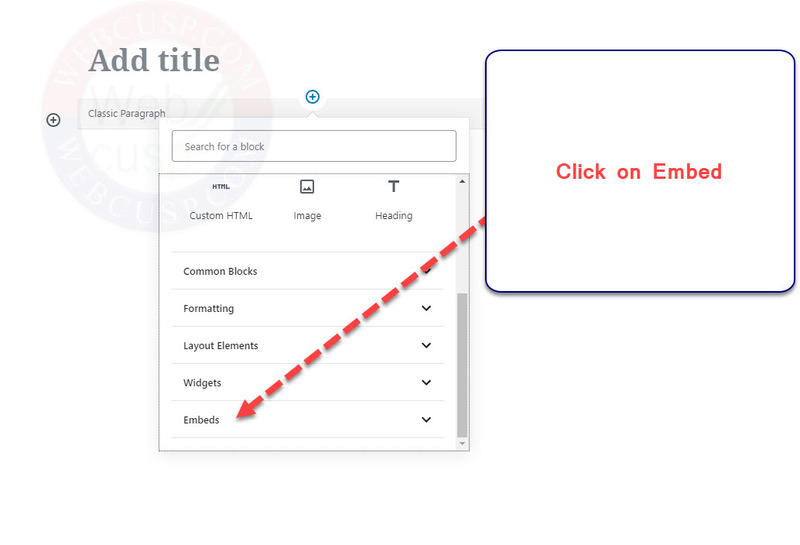 In Block Editor you can add and customize its block. This plugin uses Google PDF Viewer to embed and display PDF files. With its premium version, you have an option to display PDF in Microsoft Office Online as well. But I think Google Docs Viewer leaves almost nothing to be desired. The search feature for a PDF document is one of the most extensively used and earnestly expected feature by a PDF file reader. And luckily Embed Any Document comes with the document search option. 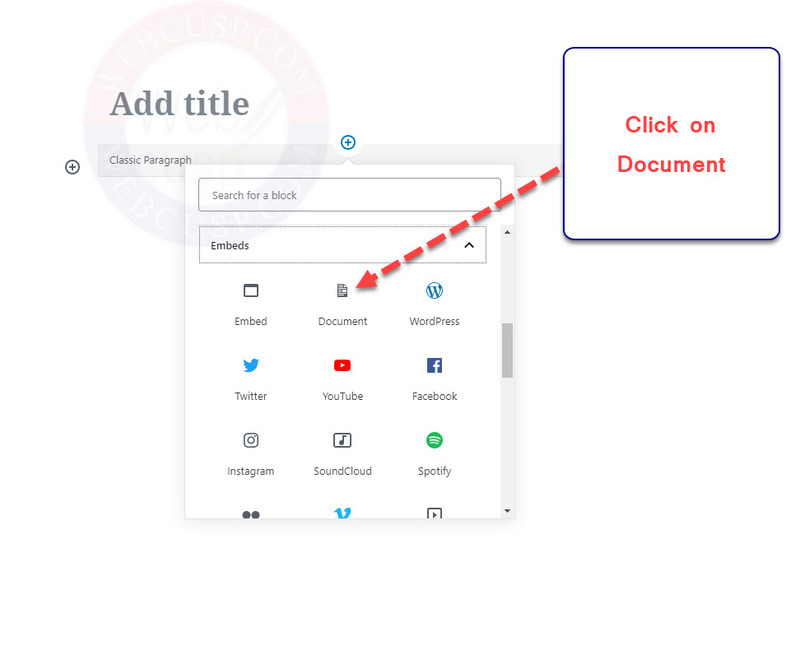 To use this feature, first click somewhere on the embedded PDF and then use keyboard Ctrl F or cmd F to search any text inside the PDF. 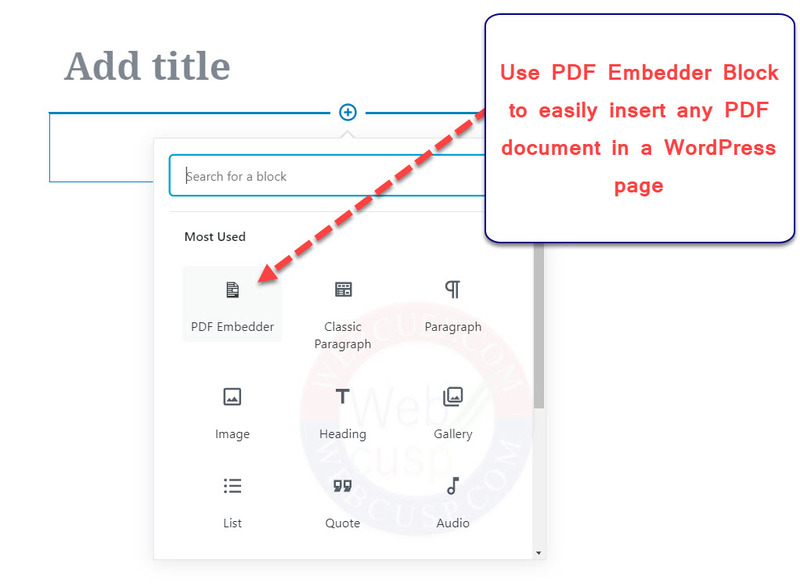 PDF Embedder is another very easy-to-use plugin that lets us add and display PDF documents on WordPress pages. PDF Embedder supports Classic and new Block Editor both. It is a simple PDF reader and doesn’t offer ‘search in PDF’ option in its free version. So if you just want to embed a small manual or brochure, it will work well for you. However, without ‘search’ feature, it may not be a good choice. PDF embedder is fully responsive and can adjust width and height according to the display size. Flowpaper offers PDF embedding with beautiful flipbook viewer. Its PDF viewer loads directly from their own server and offers advanced interface with flipping pages option, thumbnail of pages and advanced ‘in document search’ feature that lists the search result with page number and excerpt. The advantage of using Flowpaper is that it has no option to disable default PDF download link. However, you can disable it adding following CSS rule in your WordPress CSS.